A TDS meter is a "MUST HAVE" if using reverse osmosis system. Otherwise you will not know if it is working correctly. 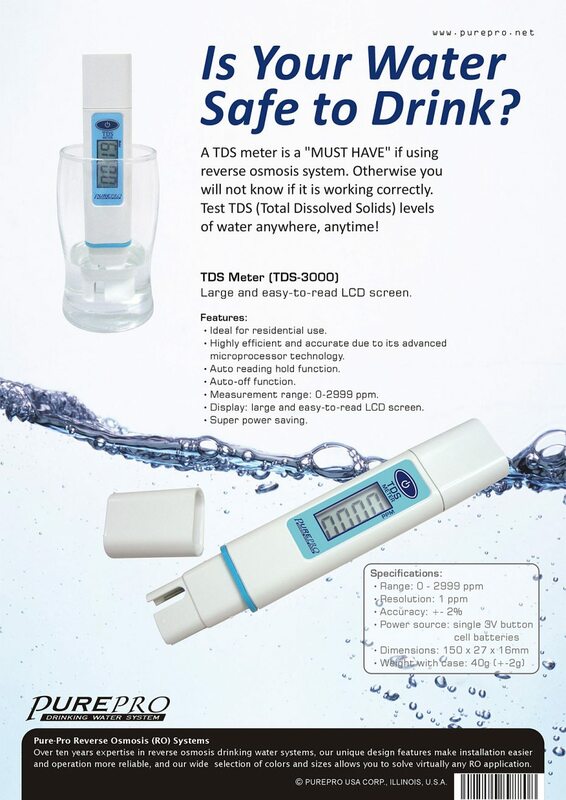 Test TDS (Total Dissolved Solids) levels of water anywhere, anytime! Our handheld TDS meter are superior quality in construction and performance. An excellent device to monitor the effectiveness of the RO membrane. Carry one in your pocket or toolbox at all times!